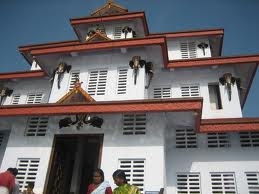 Here is some information about Parassinikadavu Sri Muthappan Temple in Kannur Kerala india. 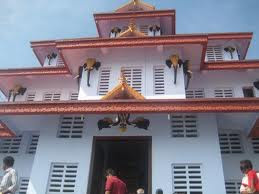 Parassinikadavu Sri Muthappan Temple, 18 kilometers from Kannur has the most unorthodox Hindu deity one can find anywhere. His favourite is the offering of toddy and fish, something the Brahmin - dominated devotional regimen would baulk at. 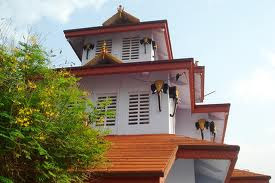 It has many unique practices and rituals, and the temple architecture itself stands testimony to this aspect.It is dedicated to Lord Muthappan, believed to be the incarnation of Lord Shiva. This is the only temple in Kerala where Theyyam, the ritual dance form of North Kerala is performed daily. To catch a glimpse of Theyyam, it is best to visit the temple when the pooja is held between 5 and 8 a.m., or 6.30 and 8.30 p.m. 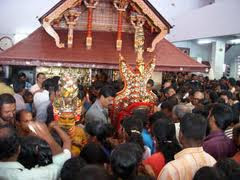 The temple's non-conformist nature is also evident in the musical custom of offering dried fish and toddy to the deity. Liberal customs allow non - Hindus too into the temple to watch the performance. The annual festival falls in December. There is also a Kathakali club in the temple that arranges shows on request. At Parassinikadavu on the banks of the Valpatanam River this temple is dedicated to Lord Muthappan, believed to be the incarnation of Lord Shiva. Located 20 km away from Kannur. Overnight accommodation is available within the temple precincts and also on houseboats. By Air: The Karipur airport is located at a distance of 93 kilometers from this temple. 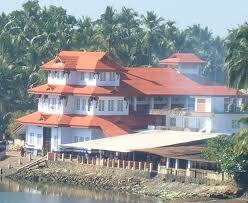 By Rail: The Kannur railway station is located at a distance of 20 kilometers from this temple. 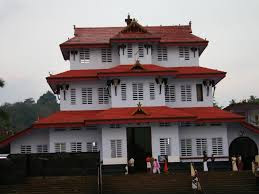 By Road: This temple can be easily reached from anywhere in Kerala as Kannur is well connected by a wide network of roads.